Lay down cucumber peel and orange zest in spirals inside a 10.5 oz goblet with just one end protruding up for each. 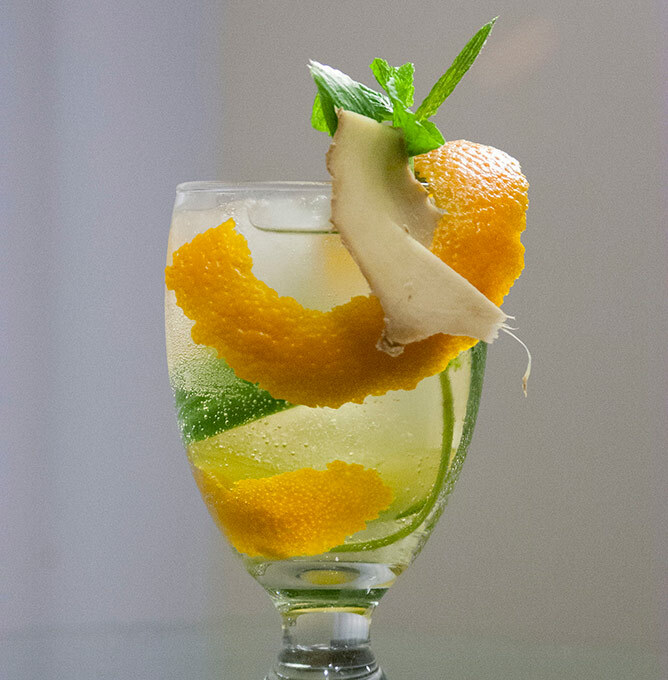 Add 3 oz of ice to glass, then add ginger and mint sprig. Add bitters, soda water, and ANEW and aperitif together.